Just 5 minutes away from the Cochin International Airport, Kerala- Quality Airport Hotel provides an extremely high level of personal service in the modern sense and offers warmth, privacy, comfort and charm that the guest might desire. 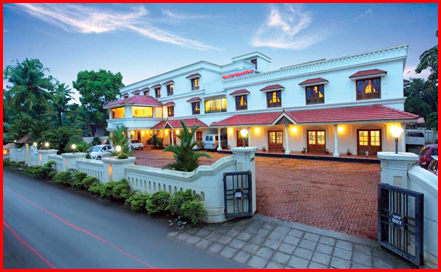 Quality Airport Hotel, ideally located just 1km from the Cochin International Airport, combines fine dining facilities within an ideal ambience alongwith classic accommodation for all types of travelers. The hotel stands tall being the perfect host to the transit passenger, the busiest business man and the languid tourist who has come all the way to experience Kerala, the land of breathtaking backwaters, undulating Blue Mountains and the unending verdant valleys. As a hotel that brings the gracious comfort and elegance of your home, the travelers will find it the perfect place to mix business with pleasure. 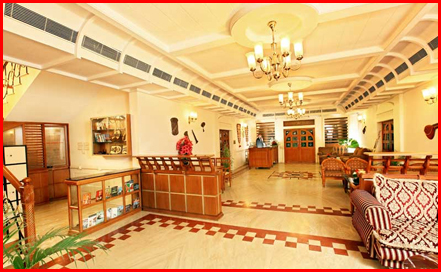 A friendly and relaxing environment prevails here for leisure and corporate travelers. After being released from the stress of a hard day's work, a good night's sleep in the comfort of one of the plush bedrooms will wake you up into a cheerful morning and a promising day. Quality Airport Hotel is distinguished by its exceptionally personalized service and impeccable facilities for relaxation, leisure and business support. 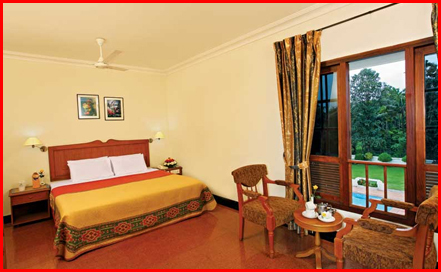 The soothing tones in which the interiors are done up make for a pleasant stay at the hotel. It has well appointed rooms for single or double occupancy with separate beds, each equipped with T.V., direct dial telephone, Wi Fi internet connectivity, channel music, mini bar, tea/coffee maker, and individual temperature controls, to ensure that the guest is comfortable. Ayurvedic Massage: In tie up with an olive leaf classified Ayurveda Centre where massage/treatment are carried out under the supervision of qualified doctors. Swimming Pool: Equipped with a Sunken Bar and under water bar stools. Separate pool for kids. Vacation swimming classes for children, conducted by qualified trainers. 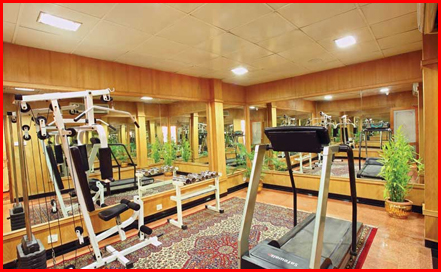 Health Club: Members can use the swimming pool and the fitness centre equipped with multi gym, treadmill etc. Special discounts are given to health club members at the hotels different F & B outlets. Experience the hospitality in its purest essence - a warm greeting, a genuine smile and the finest of flavours.This Multi Cuisine Restaurant offers an array of specialties where the Chefs have created a delectable selection of Continental and Traditional Cuisines, Buffet and A la carte. Relax at The Cheers - Bar, with your favourite drinks or try something exotic from the range of alcoholic beverages and fine wines. Much appreciated ambience of the bar adds to the kick when you sip the exclusive wine, a cocktail or mocktail. Relax on under water bar stools, with a fresh juice or cocktail at the sunken bar at the Swimming pool. The hotel has 22, well appointed and luxurious guest rooms including Mini suites and Executive suite with modern comfort and facilities. Impeccable service and warm hospitality further make your stay here a pleasure. The Business accommodation available at the Quality Airport Hotel are a boon to the busy executives as well as tourist travelers. King size or separate twin beds. Air conditioned, Ceiling fans, Cable television, Direct dial telephone, attached bathroom with bath tub, Bathroom phone, Toiletries, Bath linen, Room service. Air conditioned, Ceiling fans, Cable television, Direct dial telephone, Tea/Coffee maker, Mini bar, Attached bathroom with bath tub, Bathroom phone, Toiletries, Bath linen, Bath robe, Room service. King size bed. Large living area with plush settees and dining table. Air conditioned, Ceiling fans, Cable television, Direct dial telephone, Tea/Coffee maker, Refrigerator, Attached bathroom with bath tub, Bathroom phone, Toiletries, Bath linen, Bath robe, Room service.